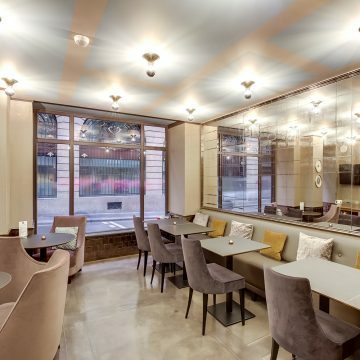 Ideally located in the heart of Paris, we are providing an accomodation for leisure and business people. 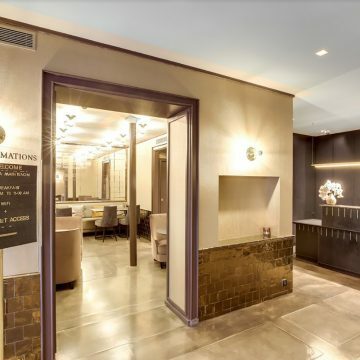 Our priviliged location will allow you to enjoy by foot most of the important sightseeing sites in Paris such as Louvre Museum, Opera Garnier, one of the most posh places Place Vendôme, the famous departement store Galeries Lafayette. You can find a variety of different restaurants and cuisines in the neigborhood. Our friendly staff is always there for you 24 hours in order to make your Parisian gateway as pleasant as possible. Our 2 stars hotel has 20 rooms which are spread out over 4 floors. All our rooms are equipped with a TNT television with various channels, free WIFI and air condition. We have one room on the ground floor with disabled access. 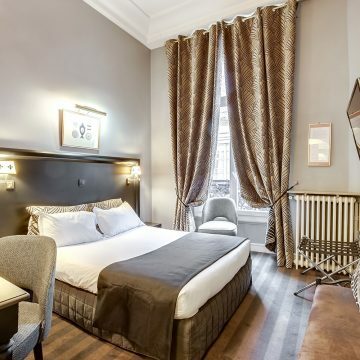 You can enjoy a stay in an old stone facade, high ceilings charming building of Louis XIV’s time. You can also admire the 2nd floor, an authentic bas-relief to his effigy. 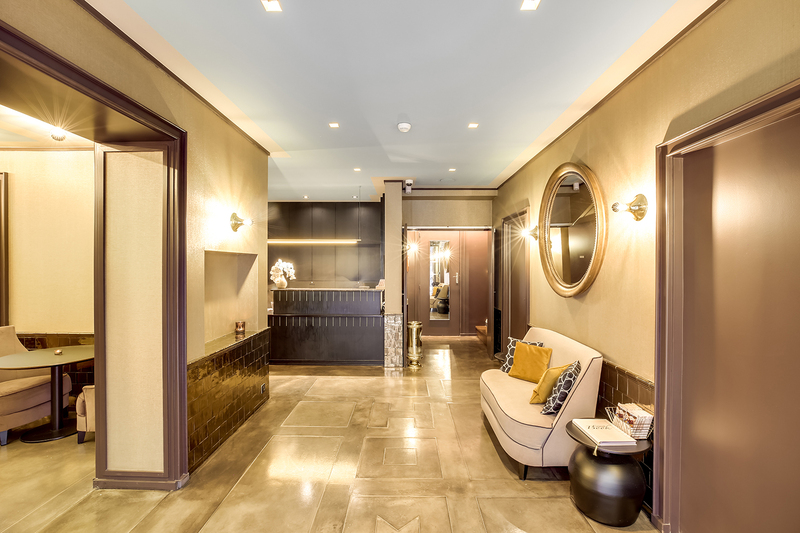 Enjoy your time in the 1st district of Paris, let yourself be seduced by the unique atmosphere of our Parisian boutique hotel.